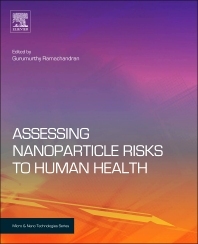 The book will take a systematic look at nanoparticle risks within the paradigm of risk assessment, consider the limitations of this paradigm in dealing with the extreme uncertainties regarding many aspects of nanoparticle exposure and toxicity, and suggest new methods for assessing and managing risks in this context. It will consider the occupational environment where the potential for human exposure is the greatest as well as the issues relevant to occupational exposure assessment (e.g., the exposure metric) and the evidence from toxicological and epidemiological studies. A chapter will be devoted to how conventional risk assessment can be carried out for a candidate nanoparticle (e.g., carbon nanotubes), and the limitations that arise from this approach. We will propose several alternate methods in another chapter including screening assessments and adapting the rich methodological literature on the use of experts for risk assessment. Another chapter will deal with non-occupational populations, their susceptibilities, and life-cycle risk assessments. There will be a chapter on current risk management and regulatory oversight frameworks and their adequacy. This chapter will also include a discussion of U.S. and E.U. approaches to risk assessment, as well as corporate approaches.